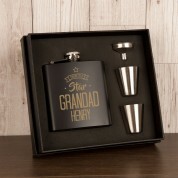 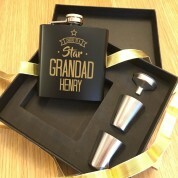 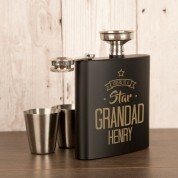 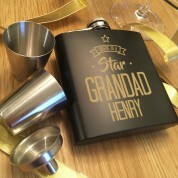 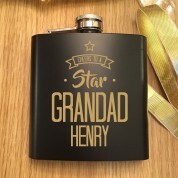 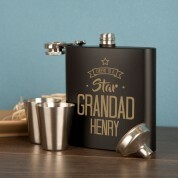 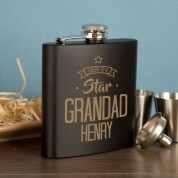 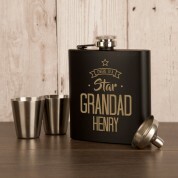 Give Grandad a gift he’ll use for years to come with this beautiful hip flask. This wonderful matte black anodised hip flask is laser engraved with Grandad’s name on it to make it a truly personal gift. 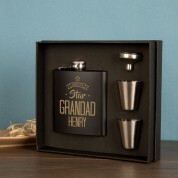 It is delivered in a stylish black presentation box and comes with two measuring cups and a funnel.